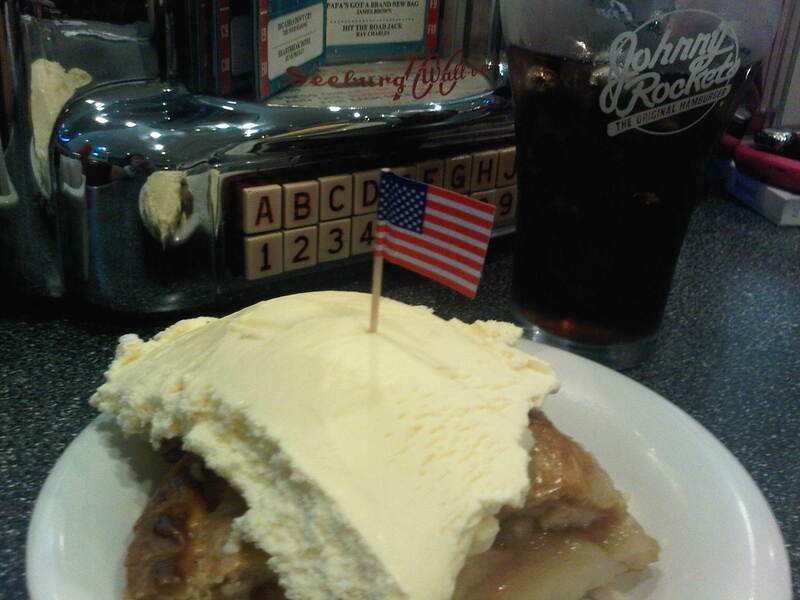 I can never resist a Johnny Rockets Apple Pie Ala Mode, especially in these hot months. For me, it has got to be one of the best apple pies in Kuwait. I don’t think I’m tasted one this good here. We all have GCC and Arab friends that come visit us for a few days. We try to make them come during the wonderful months between November and March, in an attempt to deceive them about our devilishly hot weather. If you’re like me, I don’t mind having them come visit during the summer months. I like the sea, enjoy the beach, and love water activities. Therefore, it goes without saying that if anyone visits me in the summer; be sure we’ll be spending most of out time in chale. Only problem is the unpredictable dusty weather. That would be the only thing stopping us from having a good beach\sea time. (Insert an sincere apology for my Saudi friends whom witnessed 3 full days AND nights of dust last week,, sorry girls, so so sorry). We have to start the day with Breakfast at the Early Bird Cafe (have no clue why, even though I’m gonna head there after this post to have breakfast and Coffee). Go for dinner at the ever so trendy Slider Station or the recently opened Open Flame Kitchen. Enjoy the view at Marina Crescent and Marina Waves. Have a late Lebanese lunch, after swimming, at Al-Mijana in Al-Koot Mall. Have a very late night Milk shake and apple pie ala mode in Johnny Rockets‘ Manshar Mall. Enjoy an early evening snack and dessert at Chocolate Macaroon in Jlai3a. Now if your friends are shway classy or pertinacious, then you obviously have to take them for breakfast at Dean And Deloca in Avenues. Enjoy a cup-a-joe at Starbucks Free Trade Zone, and just watch all the cool bikers with their cool bikes. What a sight. I got hungry tonight after midnight. And as you all know, it’s hard to find delivery or takeout places that operate after 10 or 11 p.m. All we’re left with are the fast food joints, some mo3ajanat places, and perhaps a trip to Restaurants’ St in Salmiya. I ended up ordering from Hardees, but I really wanted was a Johnny Rockets‘ Route 66. Nino takes orders till 11.45 p.m. The great thing about Nino is the diverse choice of food over there; from soup and salads, pizza and sandwiches, to main courses and desserts. However, they don’t deliver, so you do have to drive over there. Meli Melo Sushi delivers till 11 p.m.. It’s in She3eb and is my favorite maki place in Kuwait. Their Makis and salads are amazing. Piano Piano delivers till 11.15 p.m. as well. This restaurant might not be known to a lot of you, but it’s been open for more than 15 years, in Mansouriya co-op. The food is quite tasty, mostly Italian and international. The menu is quite diverse, and almost everything tastes good. They’ve got 2 branches, the original one is in Mansouriya co-op, and the other one is in Khalidiya co-op.